Pure racing, pure emotions. 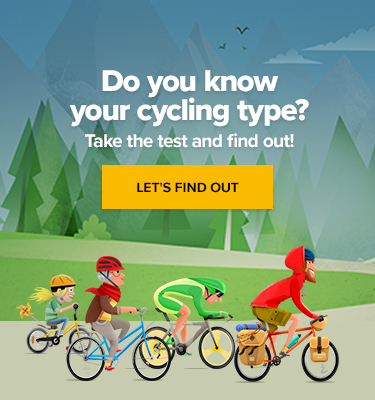 That’s what most fans think of when they see old photos of their beloved heroes such as Fausto Coppi or Gino Bartali. They went head to head in times which now have an almost mythic aura. The posters from those times seem somehow unreal as well. Just look at all those incredible routes. Some of them would deserve to be replicated in the upcoming years. Only 49 of the 130 participants finished the course in 1925. Italian Ottavio Bottecchia successfully defended his 1924 victory and won his second and last Tour de France. Bottecchia was later found dead by a roadside in 1927. The cause of the tragedy remains a mystery to this day. 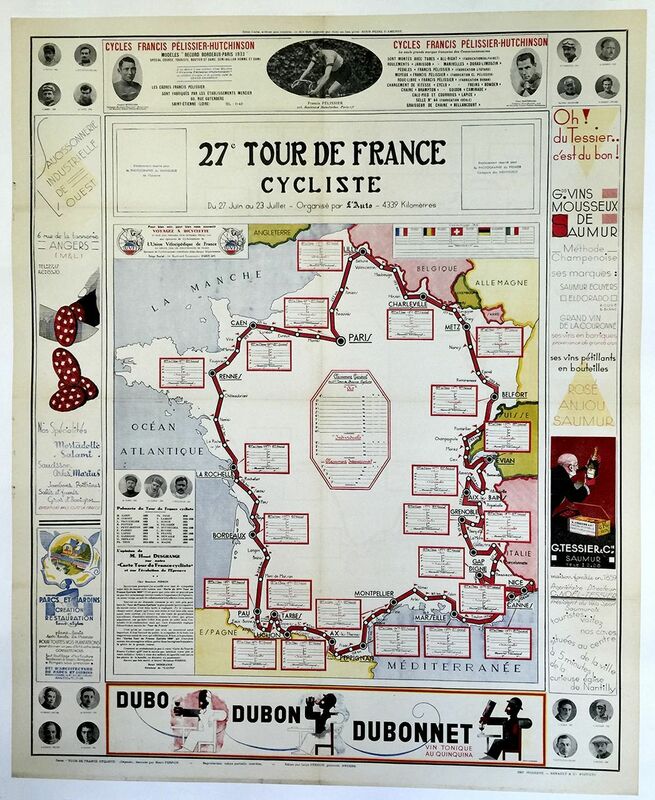 1927: The Tour director Henri Desgrange was dissatisfied with the tactics teams used in the long flat stages, so he introduced an individual team start to make things interesting. Similar to team time trials, the teams left the start fifteen minutes after each other. 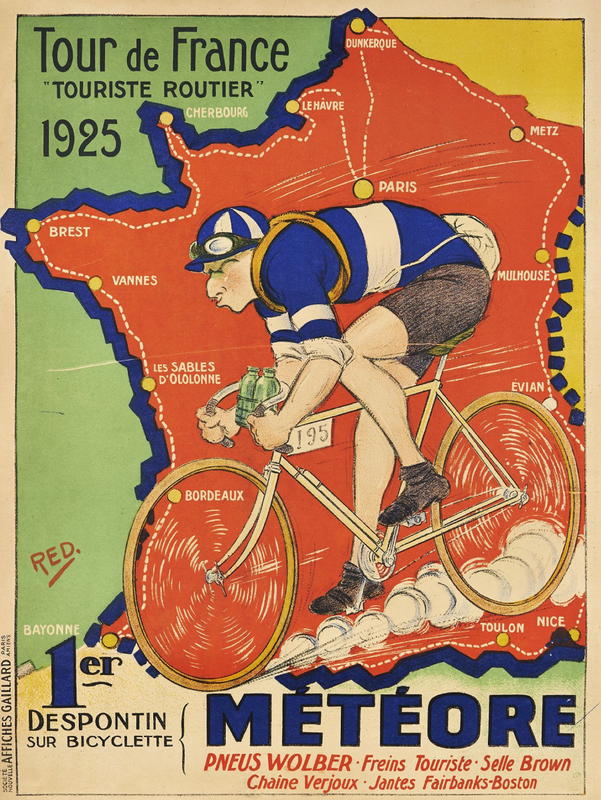 The rule did not make the race more interesting though and was removed after the 1929 Tour de France. 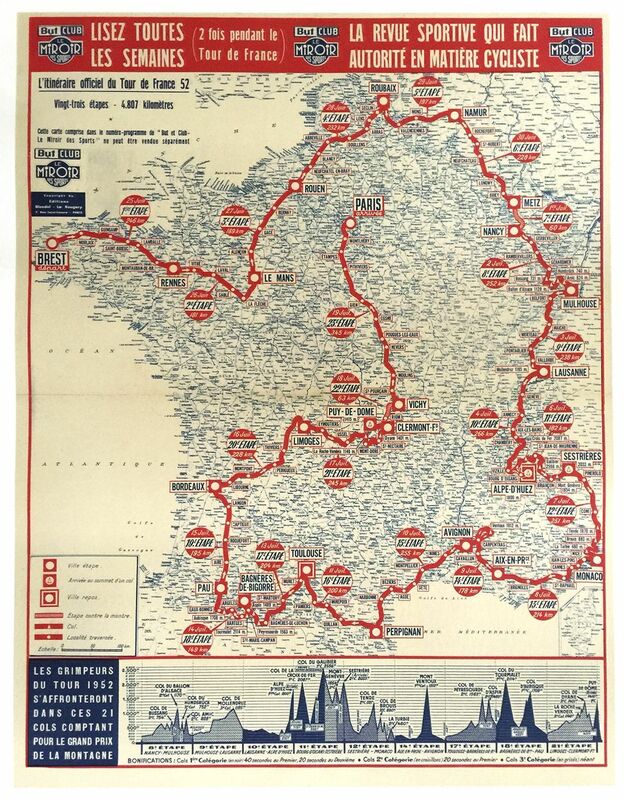 The 1933 race introduced the King of the Mountains competition, and this was the second year time bonuses were offered for stage wins. Another interesting fact is that the Tour was run counter-clockwise as of 1913, and in 1933 it returned to a clockwise running. 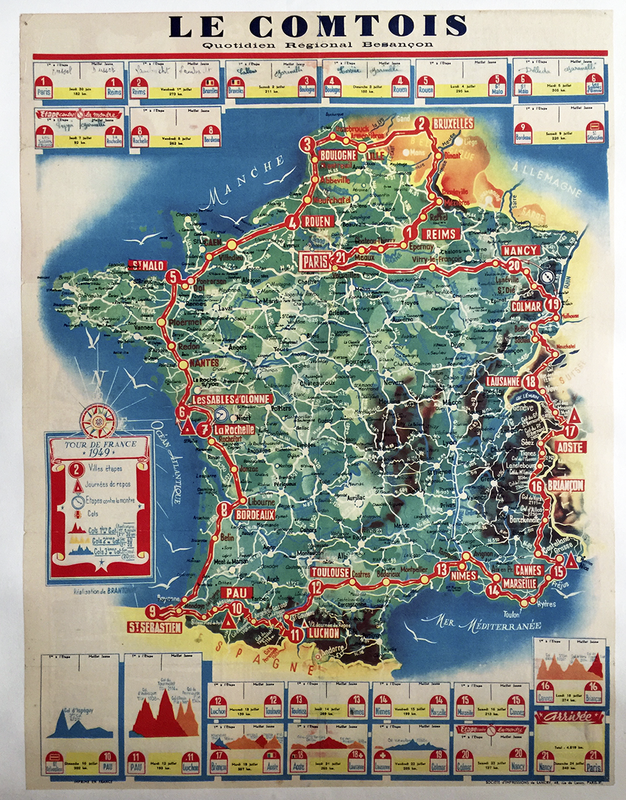 The introduction of summer holiday in France in 1936 meant that the number of spectators on the roadside increased dramatically. Henri Desgrange, who had been race director since the first Tour de France in 1903, was replaced by Jacques Goddet after stage 2, due to health problems. Gino Bartali won in 1948 even though he contemplated abandoning the race altogether. The Italian prime minister called him on the phone though and persuaded him to go on and try to win to prevent civil unrest in Italy after the assassination attempt against Palmiro Togliatti. Bartali’s win did indeed help to calm things down, and the revolts quickly changed into celebrations. 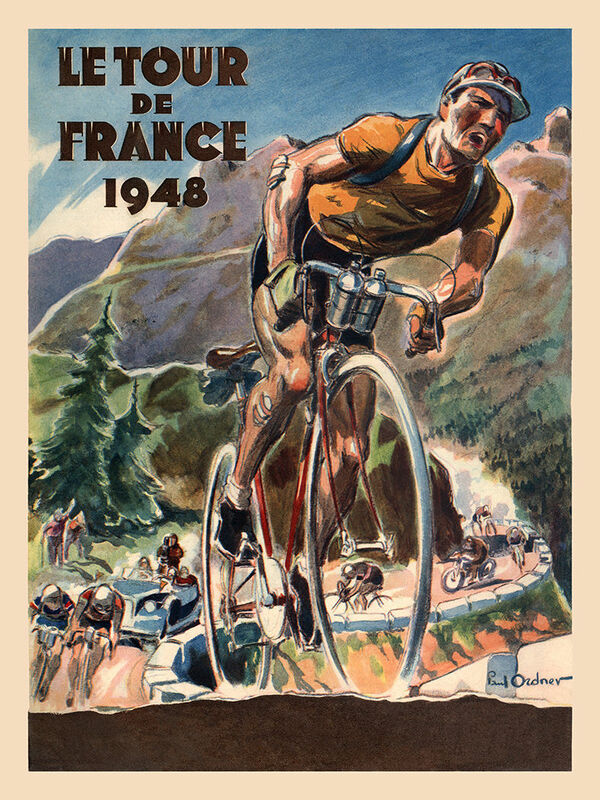 The 1949 Tour de France was the first edition to have a stage finish in Spain; it was San Sebastian in the ninth stage. Also, the third category of mountain stages was added that year. 1952: Fausto Coppi was so dominant in the race that the organizers had to double the prize money for 2nd place to keep the race interesting. 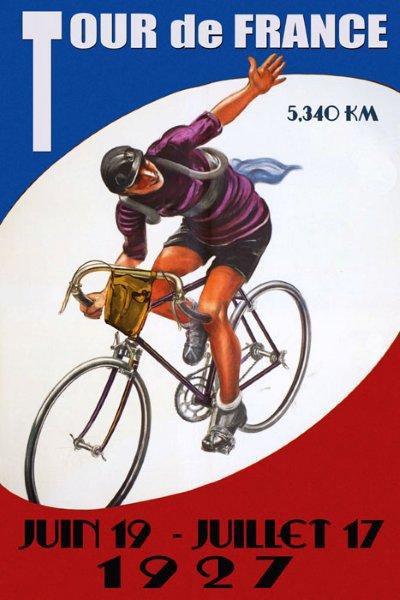 Coppi won by almost a full half hour, a record that has never been equalled and still stands today. 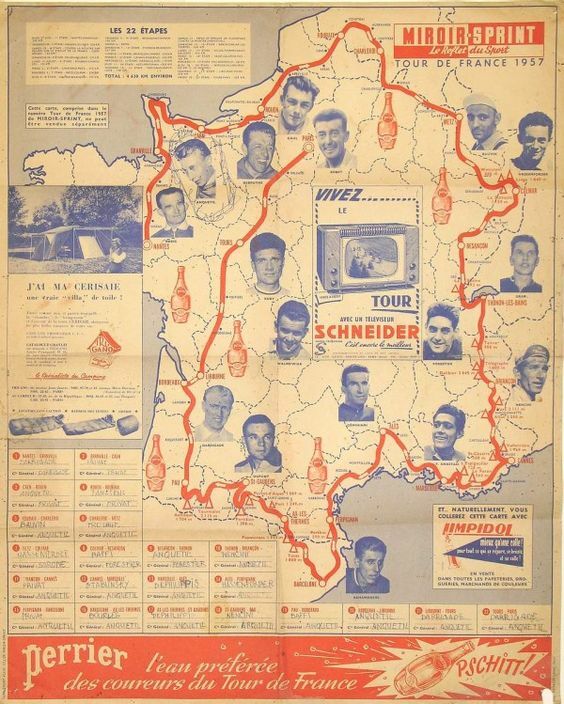 There was almost no live coverage of the event in 1957 because of an argument between the organisers and the French television over financing. 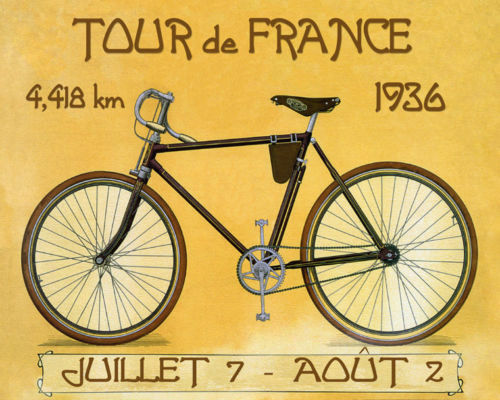 In the end, a last-minute agreement was reached and the fans were able to see Jacques Anquetil win his first Tour. 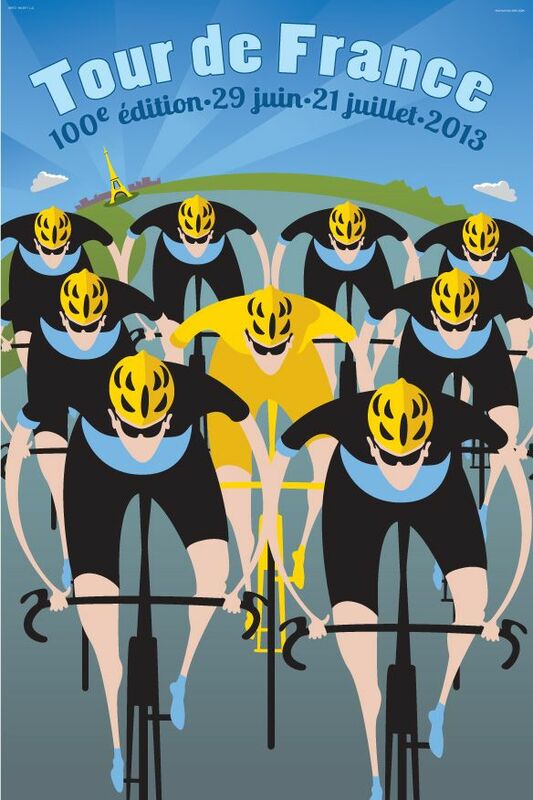 The 2013 poster pays homage to the early cycling art.